The Atal Pension Yojana was initiated by the Government of India in the year 2015 to encourage people from the unorganized sectors to join the National Pension System (NPS). The scheme offers an opportunity to workers in the unorganized sector to voluntarily save for their retirement.The main of this yojna is eligible for tax benefits. In the following paragraphs, we’ve outlined the main features, benefits and application procedure of the Atal Pension Yojana (APY). Read on to know more. The APY is open to all citizens of India between the ages of 18 and 40 years. The subscriber must have a savings bank account. 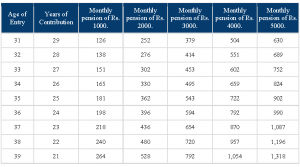 The APY guarantees a minimum pension amount of between Rs. 1,000 and Rs. 5,000 per month after the age of 60. However, the amount depends on the contribution by the subscriber. You must remit monthly contributions via the auto-debit facility of your savings bank account. An Aadhaar card is not mandatory. However, it is a vital KYC documentation for beneficiaries. Now the in every legal document the adhar card number linking is necessary! A penalty will be charged if the payment contribution is not made on time or is discontinued. Discontinuation of payments for over 6/12/24 months will lead to the account being frozen/deactivated/closed, respectively. Exit from the scheme before the age of 60 is permissible only under certain circumstances like death/terminal disease of the subscriber. On the subscriber’s demise, the same amount is paid to the spouse. After the demise of both the subscriber and the spouse, the nominee will receive the pension corpus. On premature death of the subscriber, the spouse can continue contributing for the balance time period so as to avail the pension. The primary aim of the Atal Pension Yojana is to protect social and financial security after retirement. According to a 2011-12 survey, 88% of the total labour force in India does not have any kind of formal pension provision. Thus, the APY is a silver lining for such people. Here’s how they stand to benefit. Since the government is backing the scheme, you will most certainly receive pension upon retirement. All the tax benefits of National Pension Scheme are applicable to this scheme as well. The contribution is auto-remitted to the Atal Pension Yojana every month. However, you will need to maintain sufficient balance in your savings account. The earlier (in terms of age) you start investing, the lower your monthly contribution. Refer to the monthly contribution chart below. The subscriber can increase or decrease the contribution during the scheme period. However, you can only increase/decrease the contribution amount once a year; in the month of April. The APY is linked to the bank accounts opened under the Pradhan Mantri Jan Dhan Yojana. The contributions to PMJDY will be deducted automatically. If you are an existing subscriber of the Swavlamban Scheme, your account will automatically migrate to the APY. Subscribers can shift their Swavlamban bank account to APY account with the same PRAN number. In order to apply to the Atal Pension Yojana, download and print the form from the NSDL portal. Then, fill up the form in all respects and submit it at your bank for opening your APY account. In order to make access to the Atal Pension Yojana account quicker and more convenient, the PFRDA has recently launched the e-SOT and e-PRAN facilities. The e-SOT (Statement of Transaction) is an online tool that enables subscribers to view details of their APY account. With an APY/PRAN (Permanent Retirement Account Number), you can easily view your account transaction details, pension amount, nominee name, pension commencement date, etc. In order to avail these value-added facilities, visit the NSDL or NPS Trust websites. 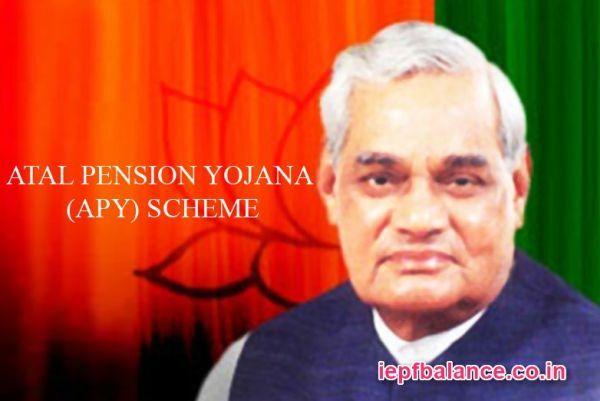 To get more details on Atal Pension Yojana, refer to the NSDL portal. You will find the APY brochure, presentation, and official government notification. In case you have any queries, use the comment box below. If you are an EPF member, visit frequently to know your PF balance, PF withdrawal procedure and much more. UAN portal is not working since 1 month. Hope people from this URL is working on this issue.